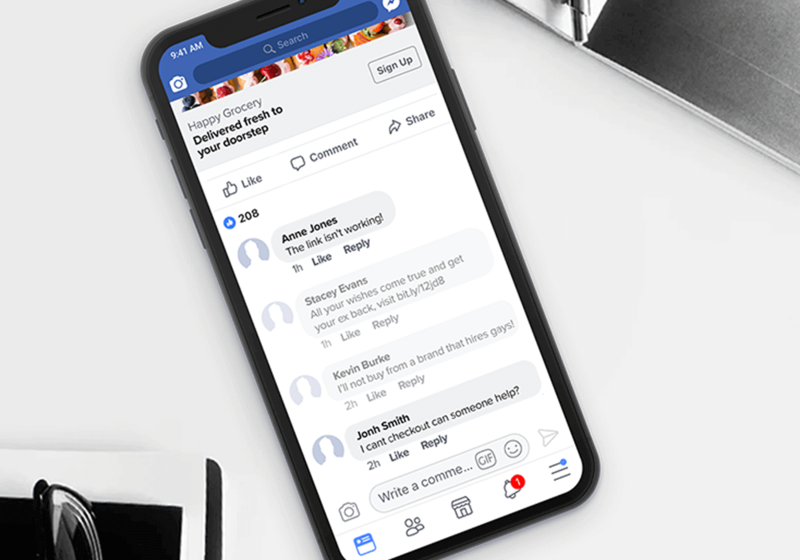 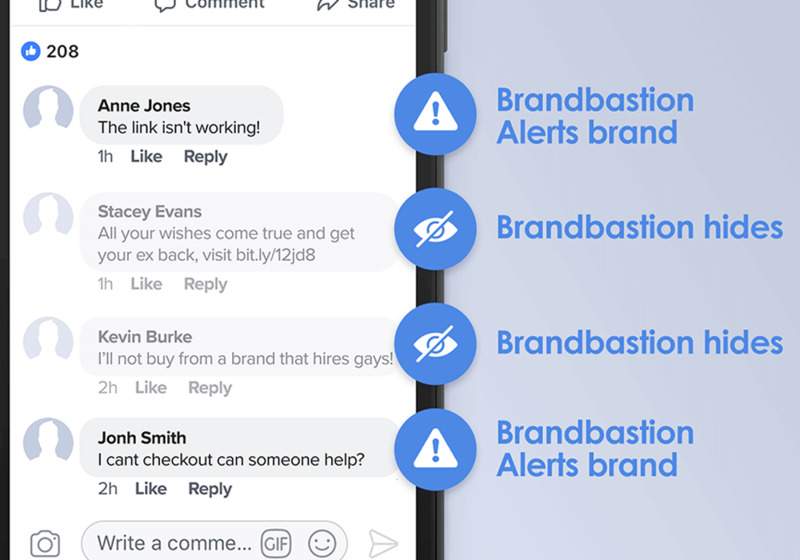 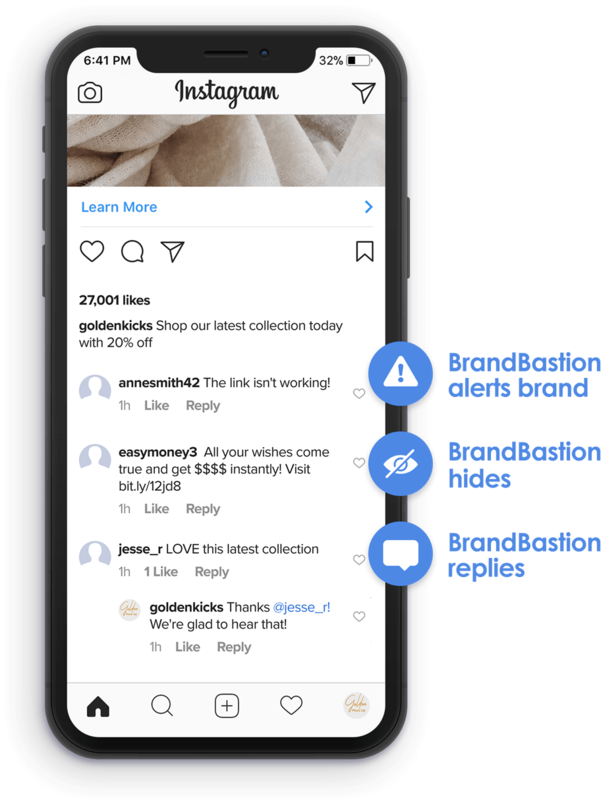 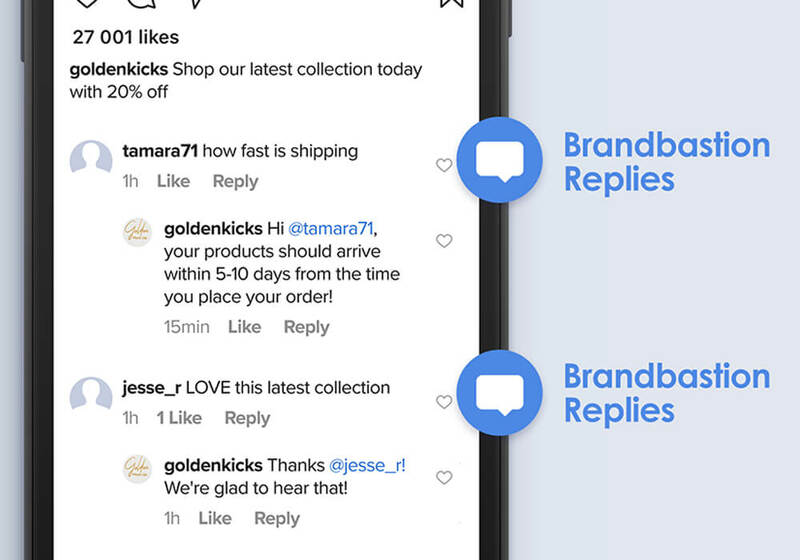 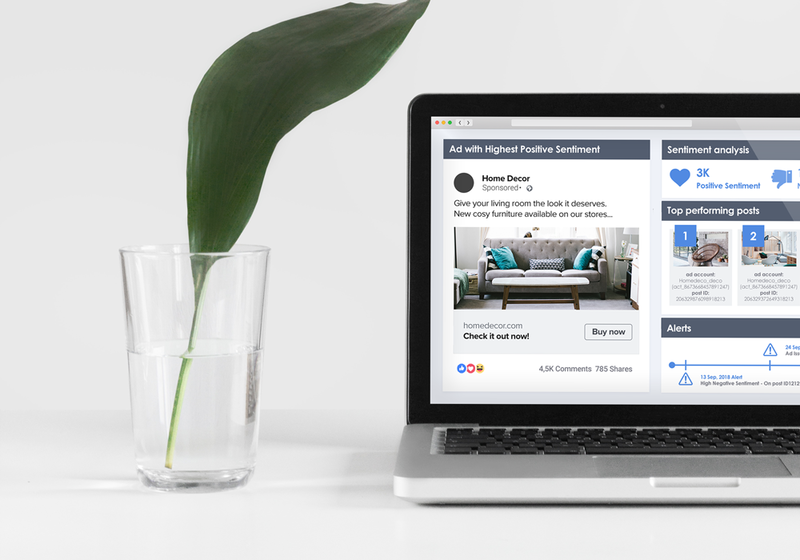 Take back your comment feeds and eliminate spam, hate speech, and competitor promotions while engaging with positive customer comments. 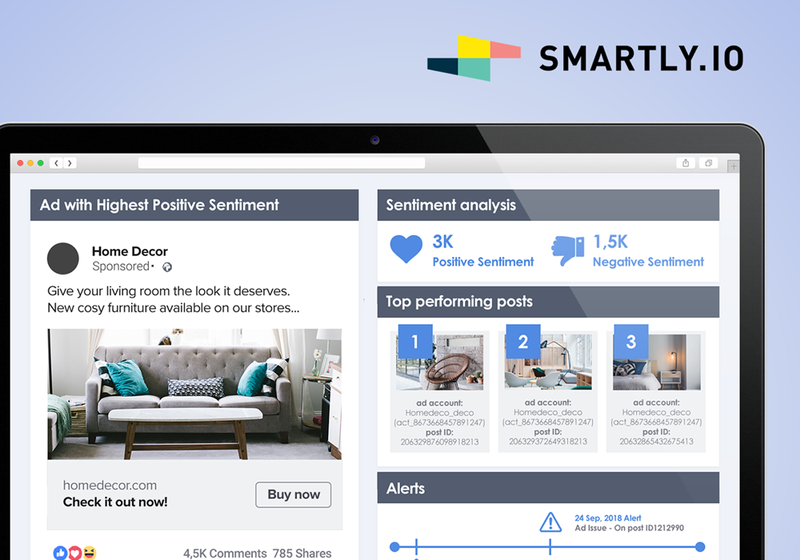 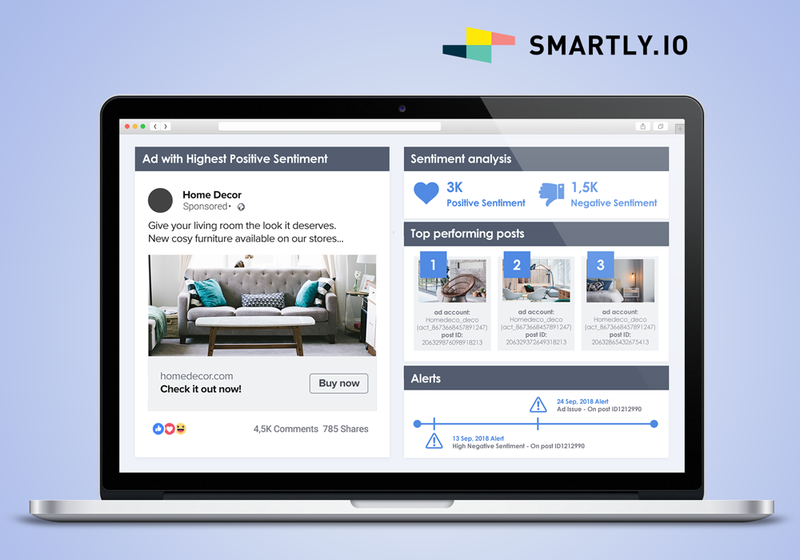 We take actions on your behalf, send you alerts when there is a post issue, and calculate sentiment - all in real-time, around the clock. 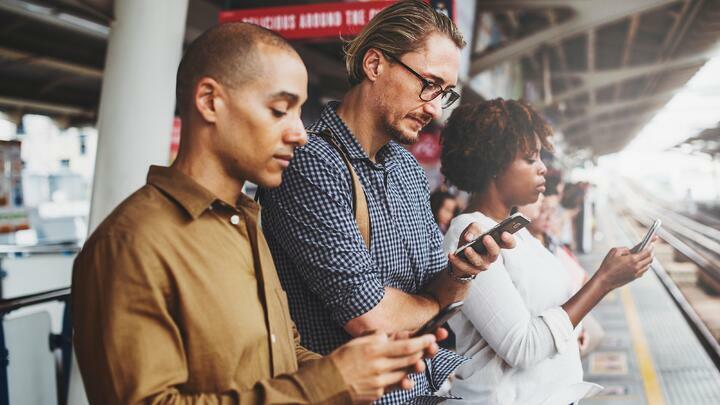 Respond faster and never miss out a customer inquiry or complaint again. 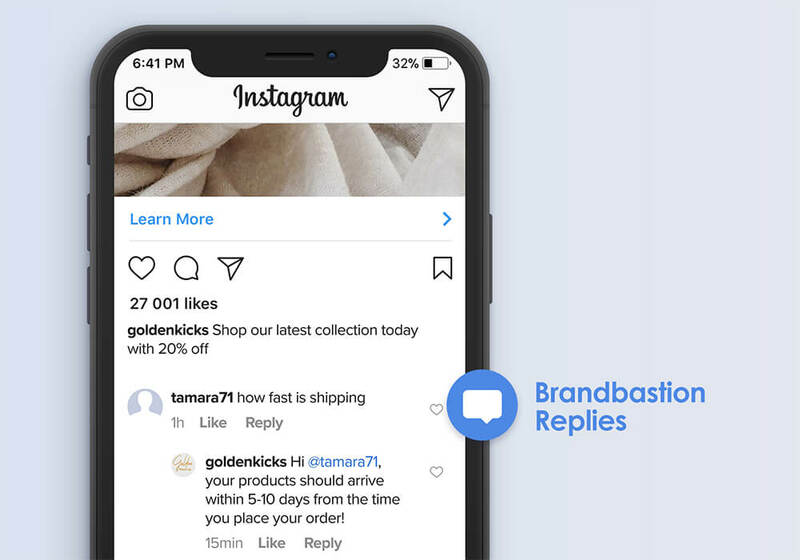 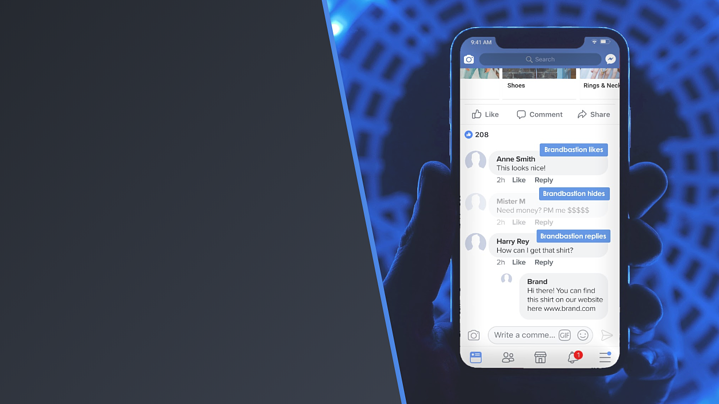 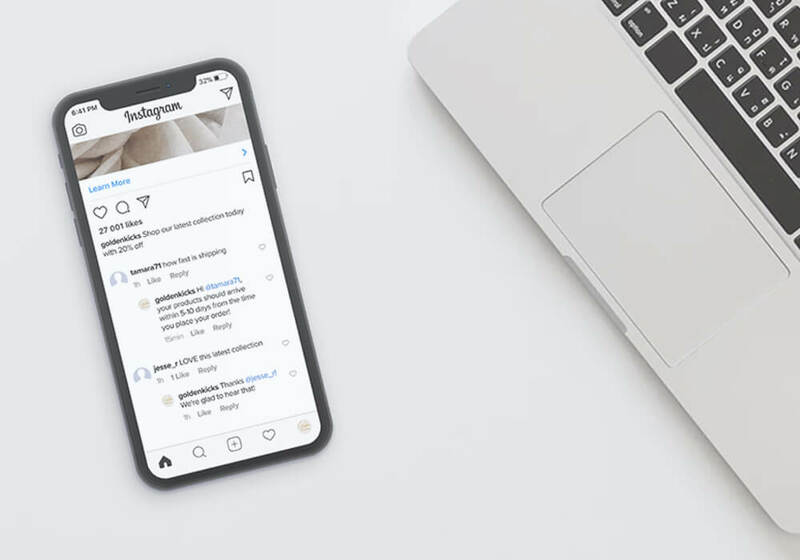 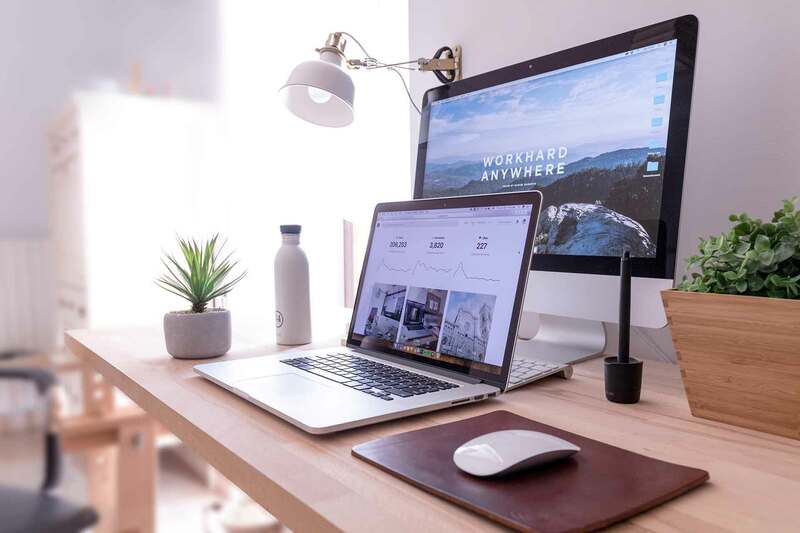 We issue natural, human-sounding responses on your behalf according to guidelines or help you speed up your workflow by centralizing customer queries pulled from social media in real-time. 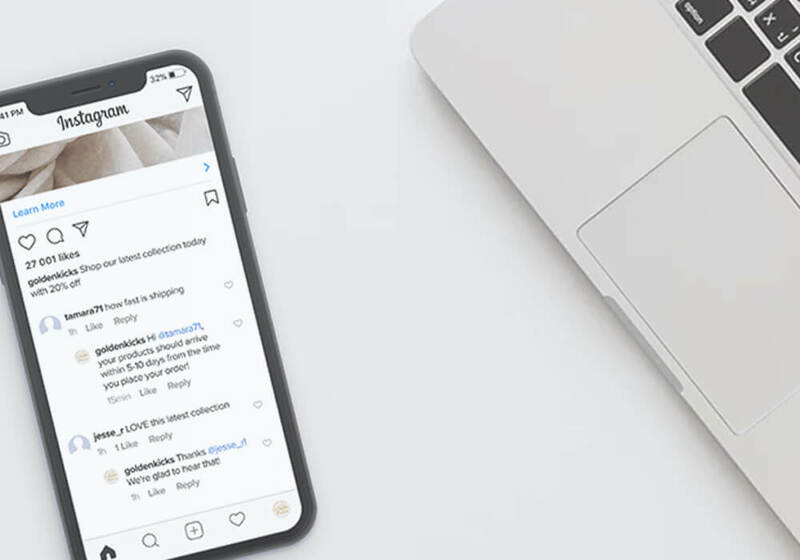 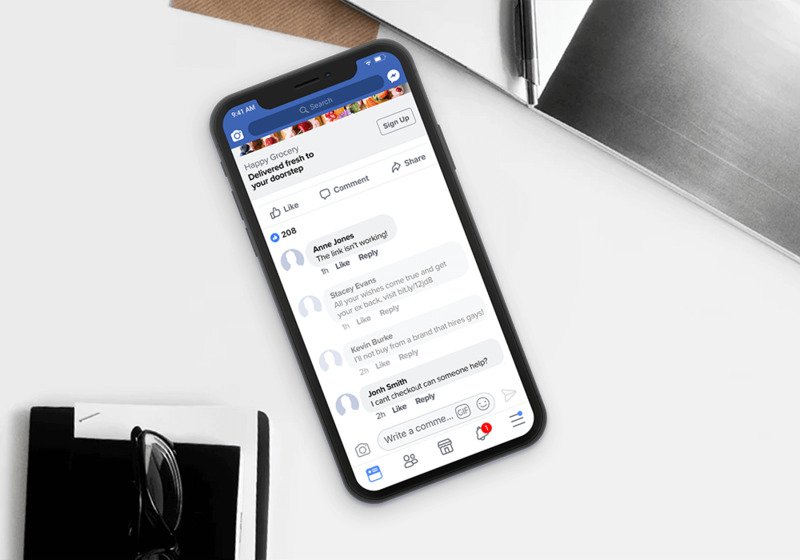 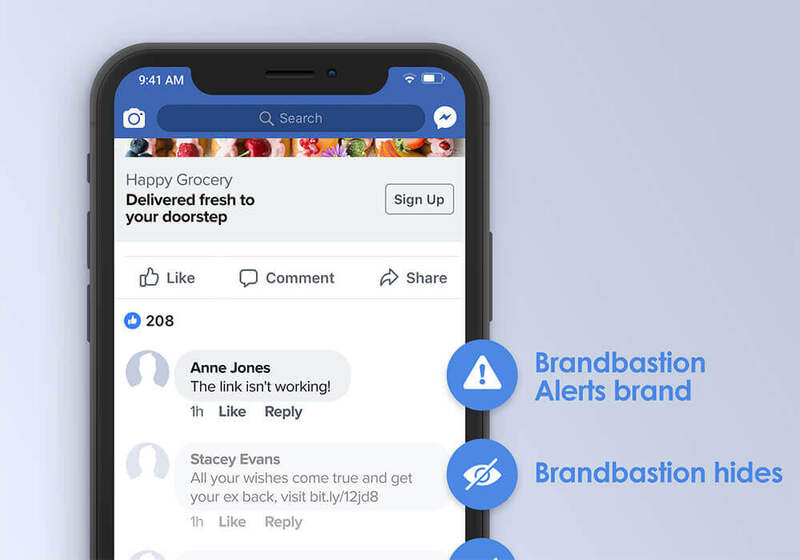 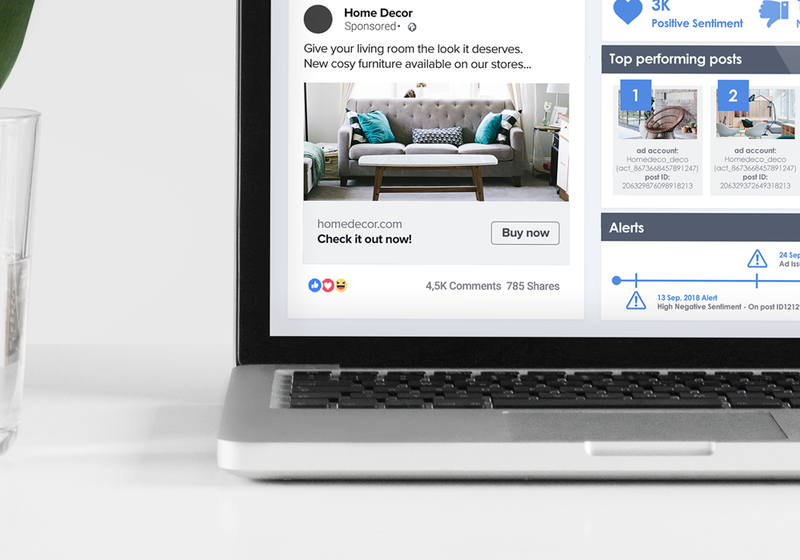 Discover a full suite of products including Moderation + Alerts, Insights, Customer Response, and IP Protection to protect your brand and drive engagement on social media.